WELCOME TO ELITISM6.COM: Are u ready? "67 BARZ" is dropping soon and it is much more than just a song. Are u ready? "67 BARZ" is dropping soon and it is much more than just a song. 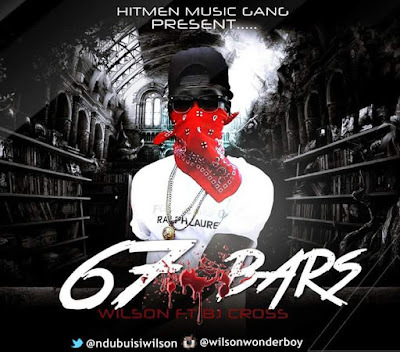 After coordinating the success of the hit Collabo "FRONT GATE CYPHA" Your favorite boy and rap god "Wilson D wonder boy" is set to make an explosive breakthrough with his soon to be released banger titled 67 BARZ. In a chat with us the rapper who doubles as the DOS (Director of Socials) of Front Gate Alliance Hostels in Imsu hinted that the audio would be dropping along with the video to make for a good start for the year. Link up with Wilson through this social media handles.